Drew has worked in the nonprofit industry for over a decade with a focus on using digital marketing and social media to help organizations connect and grow relationships with their supporters. Drew has made it his mission to demystify Facebook for the nonprofit community, helping them benefit from the unique advantage they have on social media. This means not just mastering Facebook technology, but doing things differently--in a way that works for causes. Drew took his passion for connecting supporters and nonprofits to market in 2012 when he started ActionSprout, which helps organizations navigate the constantly changing tides of social media by identifying high performing content for promotion, and the tools to engage social supporters more deeply. Drew works in close collaboration with co-founder Shawn Kemp to bring relationship marketing best practices to nonprofits, helping them create and deliver successful methods for engaging supporters. The goal always is to build relationships that grow more meaningful and valuable over time. Drew enjoys sharing the data and insights gained from working closely with large and small organizations alike – from the United Way and Greenpeace to Forest Ethics. He helps with Facebook strategy and posting tactics. 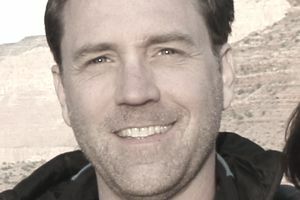 Drew currently serves as CEO at ActionSprout, sits on the Board of Directors of GetLittleBird.com, and is an ardent supporter of nonprofit and for-profit entrepreneurs through angel investment. A University of Washington graduate, Drew now makes Portland, Oregon his home base with his wife and two children. Drew’s shares his expertise across nonprofit, social media and marketing communities such as MarketingProfs, AdWeek, Social Media Today, NonProfitMarcommunity and Kivi’s NonProfit Communications Blog. For more Facebook advice, check out the 30 Days to Facebook Success email training course.